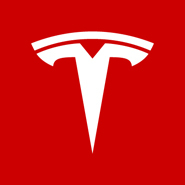 You’d be forgiven if you forgot Tesla Motors Inc (TSLA) reports its first-quarter numbers after the close Wednesday, what with the Model 3 hype still running strong. Not to mention this week’s news that the Model X’s biodefense air-filtering system works. Yet, here it comes … worth watching if only because it will almost certainly prod the fanboys and haters into another shouting match. As for what to expect number-wise, keep reading. As for what to really expect (actual earnings are pretty much a secondary matter for a future-oriented story stock like Tesla), that’s anybody’s guess. The pros expected a profit of ten cents per share a quarter ago, but Tesla reported a per-share loss of 87 cents. Either way, Tesla has been and continues to be, mostly an exercise in figuring out how the market feels about the company’s future. Fortunately, the three biggest factors to that end are pretty straightforward. As of the most recent look, analysts collectively expect the electric vehicle manufacturer to report a loss of 58 cents per share on sales of just a little above $1.5 billion. A top line that big represents a 45% improvement in revenue, but a loss of that size would be 58% bigger than the 36 cent per-share loss booked in year-ago quarter. With its first mass-market EV on the horizon, CEO Elon Musk is finding it quite expensive to ramp-up the company’s production capacity. Production of the Model X, which began mass production in the middle of 2015, has been riddled with problems of late … particularly in the first quarter of 2016. That’s a big part of the reason last quarter’s total production rolled in at only 14,820 cars versus the company’s initial estimates of 16,000 vehicles. Still, it’s a 47% improvement on the 10,030 vehicles Tesla Motors delivered in the same quarter a year earlier, jibing with the projected top-line growth. Never let it be said Elon Musk doesn’t keep things interesting for his company’s stock. Ditto for both the media and investors it generally panders to. There are three major hot buttons, however, doing most of the driving for the foreseeable future. Production Capacity: The latest tally on the number of pre-ordered Model 3 vehicles is north of 400,000 … a stunning validation of Musk’s vision. The question remains, though — does Tesla Motors actually have enough factory space and materials to produce 400,000 vehicles at any point in the foreseeable future? Its Freemont, California factory has made up to 500,000 automobiles in a year, but that was when it was producing combustion-driven (and thoroughly engineered) cars for General Motors Company (GM) and Toyota Motor Corp (TM). EVs are a different breed, requiring a different kind of production line. Nevermind the fact that Tesla experienced a parts shortage for the Model X in Q1 of FY2015 that saw sales drop by around 2,600 units. The reason? Tesla’s own hubris. Profitability: For a long while TSLA shareholders gave Musk the same pass it has given Amazon.com, Inc. (AMZN). That is, profits aren’t necessary as long as there’s reasonable evidence that sales will keep growing and a profit can be produced in the future. The market may not be as lenient with Tesla for much longer, though. Just last week, Baird analyst Ben Kallo floated the idea that a troubled Model X production line could end up taking a toll on margins. Rather than dismiss the idea as irrelevant noise, the market actually listened, sending TSLA shares into a sharper pullback than the one it was already in. Perhaps profits will matter sooner than later to investors, who have so far only seen losses expand with greater scale. Competition: Last but certainly not least, it’s time for owners of Tesla stock to acknowledge the fact that competition is coming. Ford Motor Company (F) is the most recent rumored entrant in the race to create a legitimate alternative to the Model 3. Ford is hardly the only carmaker taking aim at the space, though. Musk has made it clear he welcomes other names in the space, if only to help establish the charging infrastructure that will help sell more EVs. Eventually, though, Tesla is going to wish those other players weren’t around. Considering those other makers are already high-volume producers of combustion-driven vehicles and have a much bigger distribution network, they could take a toll on Tesla’s top and bottom lines sooner than most investors might appreciate. Of the three primary issues discussed in detail, only one — production capacity — is apt to be discussed during the conference call. The other two, however, will certainly be fleshed out in greater detail going forward. Be sure to keep an eye out for those details as they materialize. As for Tesla stock, it’s lately been easier for the bears to inflict damage than for the bulls to repair that damage. The stock’s also pulling back headed into the earnings report, suggesting traders don’t have high expectations. With that bearish mindset in place, Tesla is now a “prove it to me first” kind of stock, and no longer able to move higher simply on the premise of a cool electric vehicle. This reality puts some pressure on Wednesday’s numbers and outlook. Apple vs. Microsoft: Which Is the Better Buy? Article printed from InvestorPlace Media, https://investorplace.com/2016/05/tsla-tesla-motors-stock-earnings/.